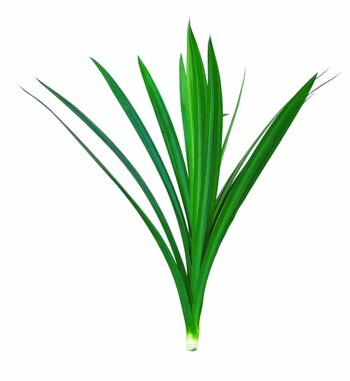 Pandan (ស្លឹកតើយ) is a herbaceous tropical plant featuring long upright dark-green leaves. Pandan is known for its mild and sweet aroma. It can be found in some Asian markets in California. Pandan is commonly used as an aromatic flavoring in desserts, much like vanilla. Its unique silky pleasant aroma and delicate flavor resembles sweet grass. Pandan is the “green vanilla” of Southeast Asian desserts. Try substituting ¼ teaspoon of vanilla with 2 tablespoons pandan extract for your next pound cake, or custard you’ll love it!